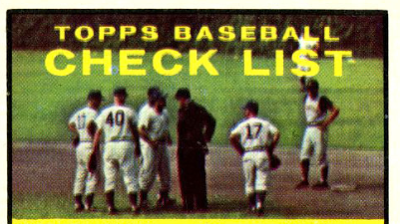 Back in August 2013, I broke down each 1961 Topps checklist, linking their action photo to specific 1960 contests. 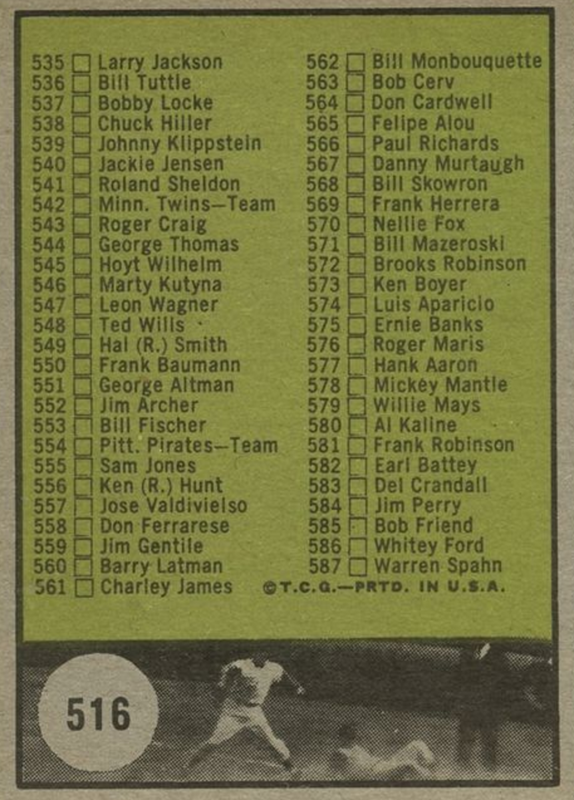 To catch you up--and remind myself--here's the full list, with an example shot of Ernie Banks sliding into second. To refresh our minds and set the context, here are the games I matched to each photo. I spent a lot of time breaking down game action and checking box scores, but somehow forgot a photo on the card backs. 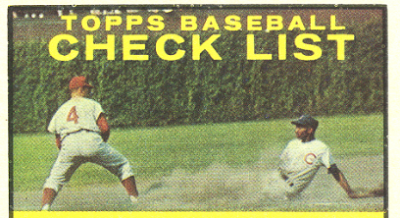 Thanks to OldBaseball.com buddy Aaron for reminding me to flip over any 1961 checklist for another action shot. The number circles vary from black to white, but the picture stays the same, checklist to checklist. That's a lefty fielder in his light (e.g., home) jersey cocked to throw next to a prostrate player with grayish jersey and black sleeves alongside an umpire in long sleeves. That's likely first base, given the outfield tarp behind all three. UPDATE: I revised my concept of this play since original posting, as the outfield tarp makes this play at first base and not home plate, something I should've realized first time around. So how much can we glean from a single, grainy snapshot? Let's start with the other checklists. In my earlier post, I concluded Topps used two photos from the same game. 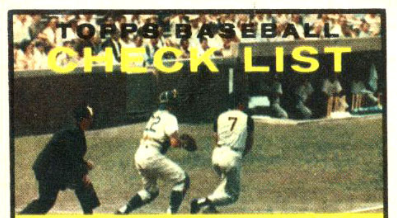 Both of these Cubs vs. Pirates checklists appear to hail from an 11-3 Pittsburgh win at Wrigley Field on June 9, 1960. If Topps used another photo from June 9 for the back, you need three matching elements. Let's save time by diving into the June 9, 1960 box score. 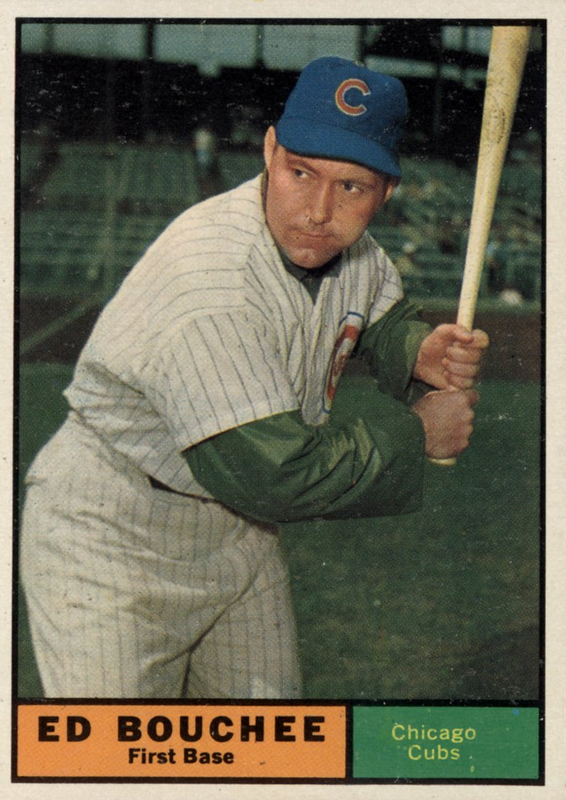 Lefty Ed Bouchee played first for Chicago that day--so far, so good. Not much happened early on, but that day's last inning is what we want. Pittsburgh started with two walks, followed by a Cubs error, as 3B Frank Thomas threw wide on a sacrifice attempt, gifting the Pirates a run and putting guys on second and third. Rocky Nelson walked, loading the bases. Then a strong candidate for our play happened. It's not hard to imagine the Cubs 1B fumbling a grounder and then losing a race to first for the putout. If Virdon slid to avoid colliding with Bouchee (who was a big guy), Ed could've fired to second trying to catch Rocky Nelson, frozen mid-throw for the moment you see. Everybody safe and one fielding error to Chicago, immortalized hazily on a Topps card. 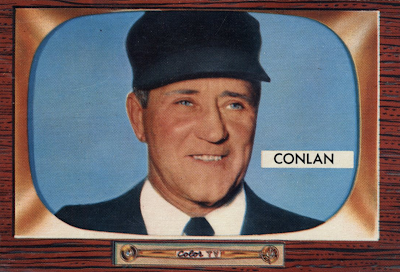 Trivia: if that's the play, our first base umpire is none other than HOFer Jocko Conlan. Here's a better look at the real, chaw-filled Ed Bouchee. He's wearing a green warmup jacket under that jersey; it must've been a damp day. 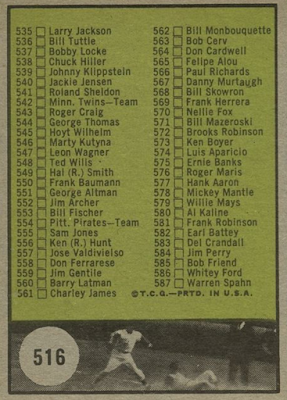 Bonus trivia: Topps pulled Ed's card following an 1957 offseason arrest, so he's the "missing number" from 1958's checklist. As service to history, Bob Lemke created a custom 1958 #145 of Bouchee. Bonus bonus trivia: Later in that same 9th inning, Bill Virdon scored with this Baseball-Reference play-by-play description: Virdon Steals Hm (uk-PR); Skinner Steals 2B. I asked Baseball-Reference what "uk-PR" meant and they discovered it's a processing error for Retrosheet's event code "SBH(UR)" which means "steals home (unearned)." From what I can tell, it's triggered when runners steal home with two outs in the inning, as did Virdon. They plan to fix the processing error itself in the near future, which will fix other in-game "uk-PR" labels on the site. The more you know!